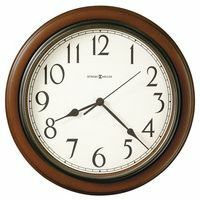 When most people who know about 1-800-4CLOCKS and its history, those clock collectors - whether antique clocks or shoppers for a new grandfather clock, wall clock, or mantel clock - they think of the old glory days of Catalog Shopping, following on the 100 plus year-old Catalog Shopping trend created by Sears Roebuck & Company well over 100 years ago, as well as the halcyon days of toll-free shopping, which is still alive and well today, but was brought to the masses by companies like 1-800-FLOWERS, 1-800-MATTRESS, 1-800-CONTACTS, and yes, even 1-800-4CLOCKS. The convenience of Catalog Shopping and toll-free convenience in many ways not only obviously preceded but also mirrored the advent of the internet and online shopping today. 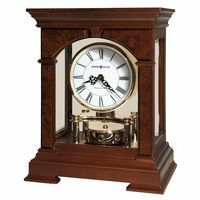 The challenge for 1-800-4CLOCKS, America's Top Clock Shop, is to translate not only our Catalog success and bricks and mortar stores success into today's digital marketing environment, and have the leading grandfather clocks retailer that we are succeed in all distribution channels. 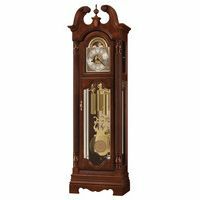 What we have learned is that perhaps the most key element is not only continued top notch service, but also as much as possible arming our online clock shoppers with as much information as possible about all the varying aspects of clock shopping, whether looking at a high-end cable-driven Presidential Collection Howard Miller Grandfather Clock, one of Ridgeway Grandfather Clocks triple chime illuminated dial grandfather Clocks, or whether checking out the assortment of the fine German Hermle Tubular Chime Grandfather Clocks, some of which now have their cases made in the USA in Virginia. Helping our customers to understand there choices, relative values, options available, and making it as much as possible to always be like an in-store experience whether in one of our locations or not, is key to our success.